The taste of these Homemade Tootsie rolls will take you right back to your childhood. Back to simple candy that didn’t have to come in a fancy wrapper to be a favorite. While I am a big fan of the original you just cant beat the flavor of these made from scratch. If you are having company for Christmas put out a bowl of these wrapped in wax paper, and be sure to toss some on your Christmas baking trays to add some nostalgia. By making them yourself you also avoid a lot of the scary ingredients in prepackaged treats. Be sure to follow me on Pinterest for more great recipes! 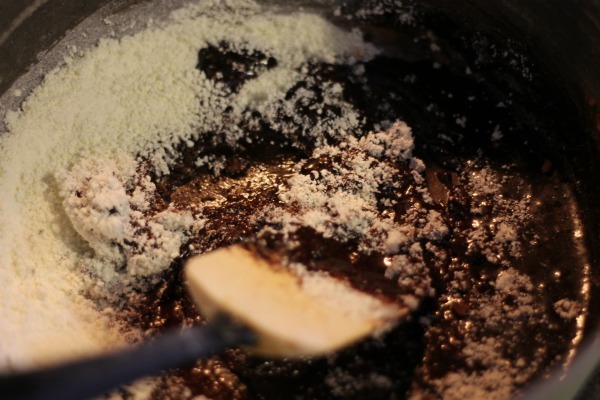 Place cocoa powder, butter, and corn syrup in a large pan over medium heat. Stirring until dissolved and smooth. Remove from heat and mix in powdered milk and vanilla. Add powdered sugar a half cup at a time until fully incorporated. Flip mixture out onto counter dusted liberally with powdered sugar, knead, adding powdered sugar until it is no longer sticky. 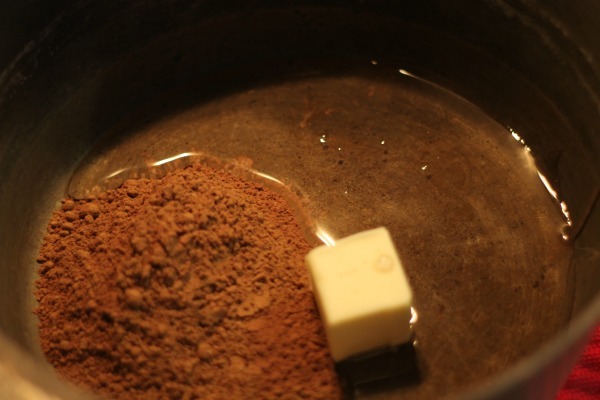 Grease your hands well, break off smaller pieces of chocolate and roll into snakes, cut with a sharp knife into 2″ lengths. Place rolls on a plate and into refrigerator, allow to harden for 10-20 minutes. 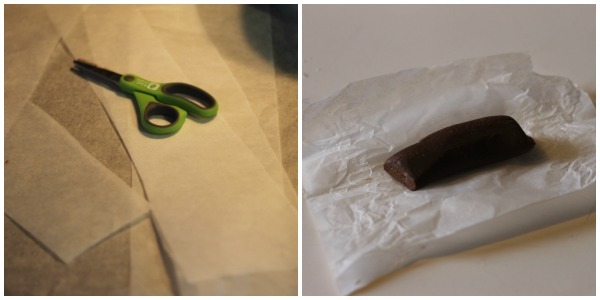 While tootsie rolls are setting cut waxed paper into pieces 2″ long and 2″ wide, you will need one for each roll you made. 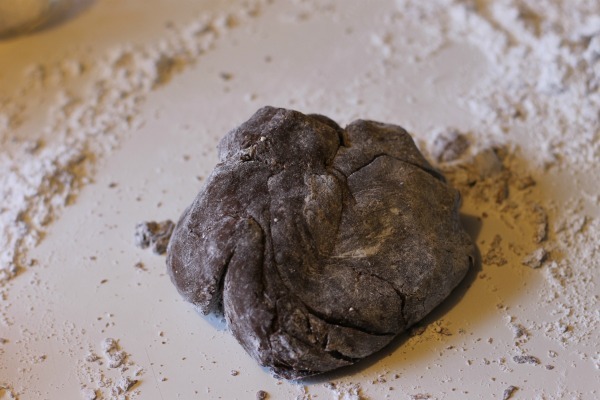 Remove from refrigerator and wrap individually by rolling in paper, and then twisting the ends. Keep your homemade tootsie rolls in the refrigerator, however when you are ready to serve remove and allow them to come to room temp. as they are very hard cold. These look delicious! About how many tootsie rolls does one batch make? Awesome, I love tootsie rolls!! Hi there! I’m coming over from MWM link up. Your tootsie rolls look delicious! I was curious if you’ve tried a recipe without corn syrup? I love tootsie rolls and am excited to give this a try. Thanks for sharing the recipe! These are amazing! I’m a sucker for a good tootsie roll… YUM! I can’t wait to try these! Tootsie rolls are one of my all time favorite candies! YUM! Thank you so much for linking these up with Mouthwatering Mondays! What!! I think I am in love with these. What a great recipe and they would make a great addition to my cookie and treat trays! I’d love if you would share this at the blog party, Celebrate It! We are all about celebrating the little everyday things of our wonderful life, along with the big things! 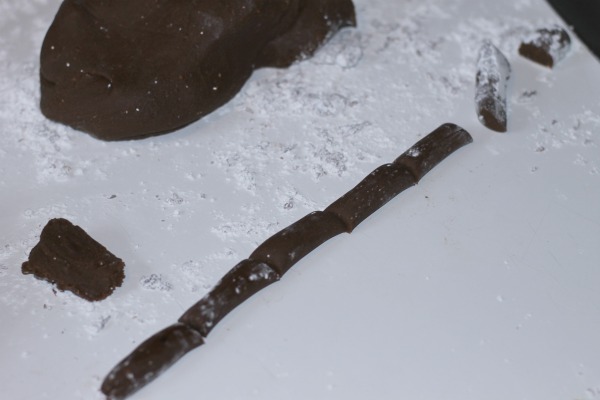 Wow, I had no idea homemade Tootsie Rolls would be this easy to make. I bet my daughter would love to do this. 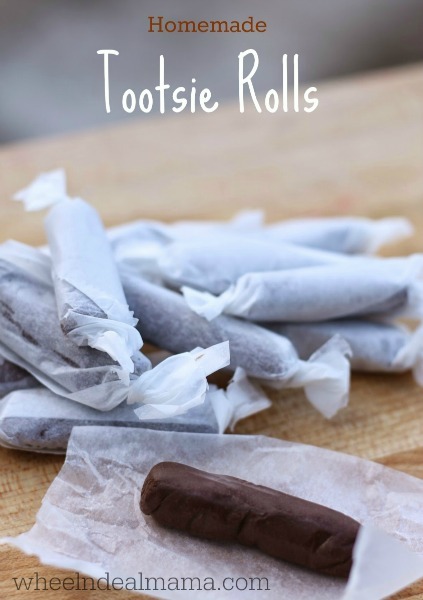 Awesome homemade Tootsie Rolls! Thanks so much for sharing with Full Plate Thursday this week. Hope you have a great weekend and come back soon! This seriously made my day! I love tootsie rolls. I had no clue how easy they were to make!